SSC officially announced the full list of examination centers for 2019. 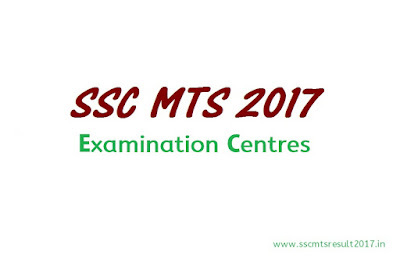 SSC MTS examination is an examination conducted by the Staff Selection Commission Committee of India. The test is carried out all over India through different examination centers. The full list of examination centres and their centre codes are listed here. A candidate should specify the examination centre in which he likes to appear for the SSC MTS examination in the order of their preference. All the examination centres are grouped into 9 regions and each region has a regional office and their respective local officers. Here are all study centres with centre codes listed Regionwise. If you are unable to find your center. Just comment below. We will update or send you through the mail.